A couple of weeks ago the time had come when my supply of contact lenses ran out, which meant it was time for another visit to my local healthcare professionals. Despite the fact that my first experience went so smoothly, the second time did not come without that familiar feeling of nervousness and intimidation. Would I be able to understand the doctors? Are eye exams in Japan different than American ones? Just like the first time around, I had no choice but to go and find out. I rode my bicycle 5 minutes to Ueno (上野) where I had seen several eyewear shops, and decided to walk around a little bit. About 3 minutes into my walk, I spotted a guy holding a signboard and passing out flyers. The sign was for a business called プライスコンタクト (Price Contact) and adveritised a discount for first time customers. I had read about Price Contact on the internet several weeks before and there were some good reviews about it being no-frills and inexpensive while maintaining quality and professionalism. "何て素晴らしい偶然だ！" (what a splendid coincidence! ), I thought. I went up to the guy and asked him if I could also get an eye exam there, and he told me I could and showed me one of his flyers which detailed the many familiar brands of contacts they sell. The flyers also included a discount coupon. I asked him where the shop was located and he guided me the short distance to the shop, called the elevator and held the door open for me, and directed me to the 5th floor of the building. The 5th floor looked a bit like a small warehouse and not at all like an optometrist's office so I had to ask myself if I had gotten off on the wrong floor. There was only one other person there, but I saw them being handed a bag with the Johnson and Johnson Acuvue logo on it so I concluded I must be in the right place. I spoke to the attendant who asked me if it was my first visit and inquired as to whether I have insurance. I told her it was my first eye appointment in Japan ever and that yes, I do have insurance. She gave me a short form to fill out which was primarily about my contact lens usage history; it took me a little over 5 minutes to fill out. She looked over my form and seeing that I learned about the shop from a flyer, asked me if I had a discount coupon. I gave her the coupon and after putting it into my file she gave me a print-out with my info on it and directed me up to the 6th floor. 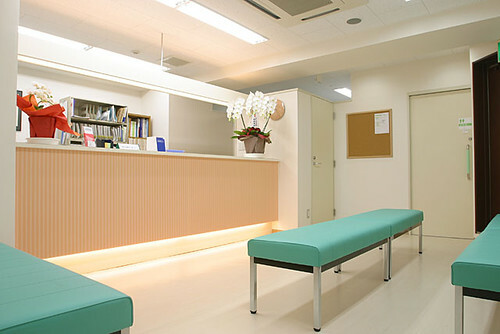 The 6th floor was a bright and spotlessly clean eye doctor's office, except unlike others I had been to before was bustling with medical staff and other customers. I handed my paper to the receptionist and she invited me to put my backpack on a nearby shelf and have a seat. I sat for about 2 minutes before I was approached by one of the technicians. She got right to work asking me about the kind of lenses I usually wear and about my general eyesight history. After explaining my options in a way that was very easy to understand, she helped me select the kind of lenses I wanted. After deciding on Cibavision Air Optix 2-week disposable lenses, we moved on to the vision test. 視力検査 (shiryoku kensa / eye exams) in Japan are slightly different from American ones. They start with a machine that to me seemed like little more than a large, monoscopic viewmaster with a photo of a hot air balloon in it. When I was asked to look into the eye piece, the photo was really blurry at first, but the machine made some automatic adjustments until the photo was almost perfectly clear. This was done once for each eye. The technician took some readings from the machine and directed me to a different area of the office. The next part of the exam was slightly more familiar but also unfamiliar as well. I was seated on a stool facing a projection of an eye chart, making it feel pretty much just like the eye exams I'd been given since my childhood. The primary difference is that in Japan, eye doctors don't use that eye chart with like big letter E at the top and the rows of letters that get progressively smaller further down the chart (which I subsequently learned is called a Snellen Chart). After all, the roman alphabet is not used in Japan so that wouldn't work too well. Here, optometrists use the Landolt C chart, also know as a Japanese Vision Test. This kind of chart uses rows of circles in which a small piece from one side of each circle is missing and you tell the doctor which part is missing-- up, right, left, down. When a "C" is too small for one's eyes to see, it pretty much just looks like a blurry ring. I had to cover one eye and view different parts of the chart, then repeat with the other eye. After this came the part where I put my face against a giant pair of steel glasses with all sorts of contraptions attached to it, so that the technician could determine the correction I need. Aside from the hot air balloon viewmaster machine and the type of chart used, the vision test was the same as any other eye exam I've had. At the end of the vision tests a doctor examined my eyes directly, looking for any signs of trouble, which there were none. Finally, the technician discussed proper eye care and contact lens maintenance with me, and sought to confirm whether I was satisfied with everything, which I definitely was. I found that everything had gone perfectly well and that I pretty much had no trouble understanding. The only real problem was learning that my eyes had gotten quite a bit weaker since my last eye exam at the beginning of 2012. I checked out of the doctor's office and paid for my eye exam on the way out which, with my National Heath Insurance, cost ¥980, or about $10. They gave me a voucher so that I could collect my lenses back down on the 5th floor. I went back downstairs, received my new contact lenses and also took advantage of their discounted supplies as well. The National Health Care program doesn't cover contact lenses, but the cost was very reasonable anyway. 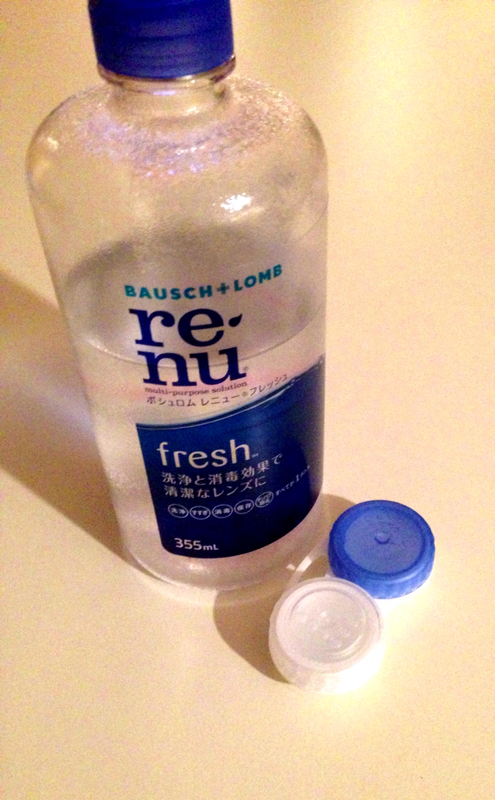 For ¥9800, or about $100, I got a 6-month supply of contact lenses, and a 6-month supply of ReNu cleaning/storage solution and cases. I remembered that this is the cost I used to pay for the lenses alone back in Chicago! The whole process took about 40 minutes, starting from walking in off the street with no appointment, to walking out with a new prescription and 6 months worth of contacts and supplies all for about $110. Pretty awesome! Thanks Price Contacts! Thanks again Japan National Health Insurance!